Anticipating the debut of Banjo's newest power-up form? Well, help yourself with a couple of newly surfaced Detail Of Heroes scans featuring Kamen Rider Cross-Z Magma! 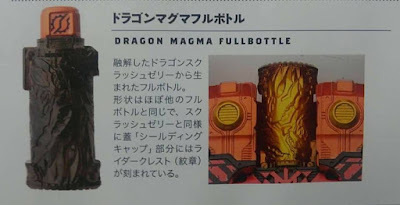 With the war escalating to a much higher level and more powerful enemies emerging, Ryuga Banjo must use the Magma Knuckle, which is powered by the Dragon Magma Full Bottle and reach his newest fiery evolution, Kamen Rider Cross-Z Magma! The scan says that the Dragon Magma Fullbottle comes from Dragon Jelly, and the jelly being its shielding cover. 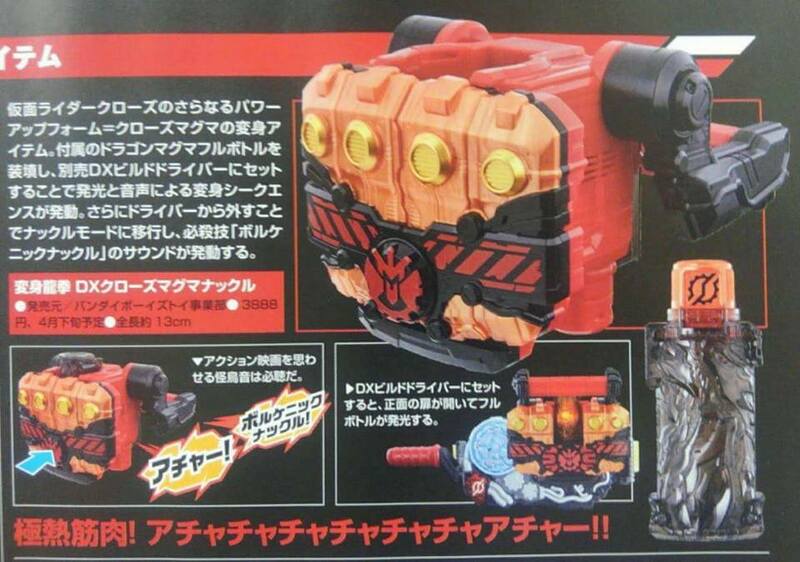 So Banjou won't be using Sclash Driver anymore and'll go back to the Build Driver? There's a comment about Grease, but I can't understand what it says. Wow! 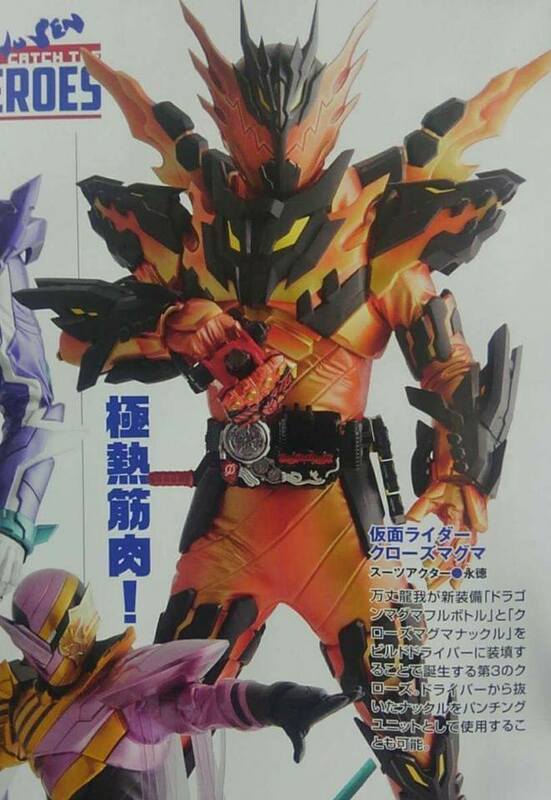 Usually a secondary rider only gets one form change. This guy gets two or are they going to make the Dragon Jelly form obsolete and he no longer can use that form.